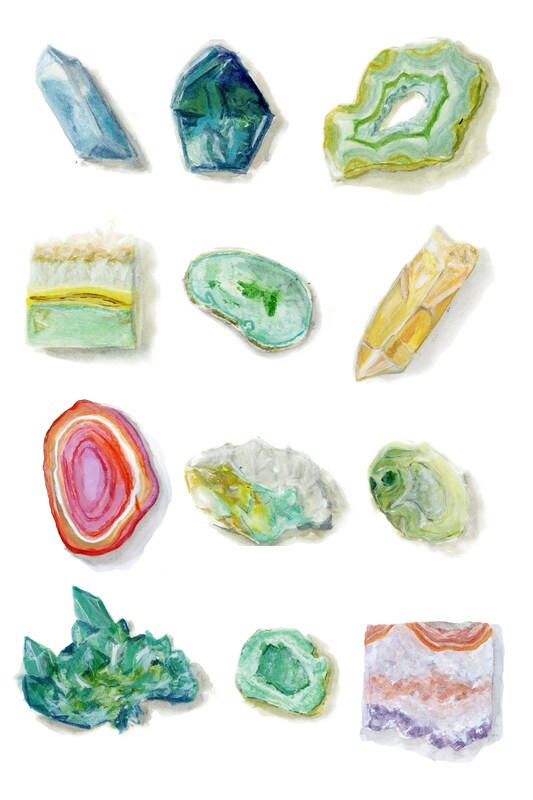 Traditional rock collections get a modern spin in this poster sized print of an original watercolor. Colorful crystals, agates, and geodes sit on a clean white background, arranged in a grid that is an updated version of the usual wooden collectors' boxes. The perfect addition to a gallery wall, or for use as a standalone statement piece.